If you need backflow repairs in Columbia, Master Plumbing can help! You might not know why you need backflow repairs for your Columbia. After all, how often does something happen? Backflow happens when the water from your own plumbing leaks into the water meant for public consumption. Inspections are a key part of making sure whether or not backflow repairs are needed. Let’s find out more about them. The first step in the backflow repairs process is known as the field inspection. Whenever this inspection is failed, the backflow preventer in question must be reset to its original settings when it was first installed. 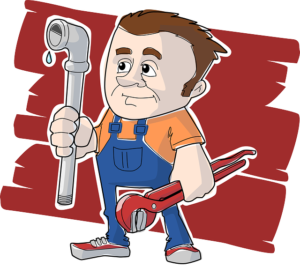 All of the repairs must be done by a fully licensed plumber. There are three different types of backflow preventers that need to be inspected and maintained. If you aren’t sure where to look or what to do, then you know you can put your trust in the experts at Master Plumbing to get it done for you. That way, your Columbia home won’t experience any nasty problems that are not your fault. The Reduced Pressure, or RP backflow preventer, relies on mechanical valves equipped with springs that have shutoff valves are both ends. Then there is the pressure volume breaker, which is similar to the RP preventer. This has a check valve and an air inlet valve that work together to stop backsiphonage. Lastly, the double check valve works best against backpressure and backsiphonage, but it should only be used to stop non-health related hazards from getting into the plumbing works. So you might be wondering what happens if repairs aren’t completed? First of all, inspections need to be done. This can prevent you from losing water service and heavy fines. Luckily, the inspections will take at most half an hour. If repairs aren’t completed, then you could find yourself with lowered water pressure, water that tastes or smells off, and potential degradation of your pipes and health problems associated with the contaminated water. Don’t let this happen to you or anyone else in your family. If there are water problems throughout your neighborhood in Columbia, then it’s only a matter of time until something goes wrong in your home. Get ahead of potential problems and call Master Plumbing today!